Aging is a normal life process, which is subtle and is characterized by individual variation in onset and rate of decline. The basis of this process lies in changes in various macromolecules (from D.N.A. to membrane proteins) which primarily lead to alteration the form of function of a tissue or organ as a result of biological activity associated with a minor disturbance of normal cellular turnover. In general the body experiences a decrease in blood microcirculation, cellular reproduction, tissue repair, metabolic rate, and an increase in development of excess fibrous connective tissue in an organ (fibrosis). With the degeneration of elastic and nervous tissues, these result in reduced function of most body systems. There is a decrease in the thickness of the epithelium, mucosa, and the submucosa is seen. Our taste bud function decreases. With age, an increase occurs in the number and size of Fordyce’s spots (sebaceous glands) on the cheeks, as well as lingual varices and foliate papillae on the tongue. Nutritional deficiencies such as iron and vitamin B-12 are more prevalent in elders and these conditions may be associated with wasting of the oral mucosa and in particular with loss or reduction in the filliform papillae of the tongue. Recent research suggests the stimulated salivary flow rate does not fall purely as result of age. However, medications of systemic disease can affect salivary output. This may lead to a diminished facility for chewing, poor retention of dentures, and digestive upsets. The dryness of mucosa renders it more susceptible to frictional irritation from dentures. The toothless mucosa is frequently thin, lightly stretched and it blanches easily. Some of these characteristics may be found in elderly individuals. Their occurrence may well reflect the presence of systemic disease, nutritional disturbances or the side effects of medication. A variety of tissue overgrowth and ulcers have also been described in the elderly, mostly related to ill-fitting dentures. Tooth enamel becomes less permeable with age and clinically older teeth appear more brittle. The rate of secondary dentine formation reduces with age, but still continues. Occlusion of the dentine tubules with calcified material spreads crown-wards with age. Tooth wear is an age-related phenomenon and can be regarded as physiological in many cases. However, excessive and pathological wear can be caused by parafunction, abrasion, erosion (dietary, gastric or environmental) or a combination of these factors. There is increase fibrosis and decrease in blood supply to the pulp, which means that the defensive capacities of the pulp decrease with increasing age. Therefore pulp capping treatment is likely to succeed. 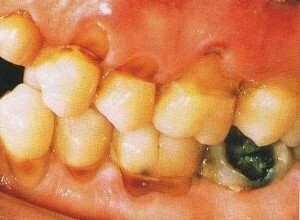 Furthermore there is also an increase in secondary dentine and calcifications in the pulp. There is an increase in fibrosis, decrease in number of cells, blood supply and cell turnover are found with increasing age. Whether gum recession is pathological or physiological is still hotly debated. Aging involves both a physiological decline in function and dysfunction associated with age-related disease (for example strokes, Parkinson, trigeminal neuralgia). Aging may also impair the central processing of nerve impulses, impede the activity of striated muscles fibers and retard the ability to make decisions. 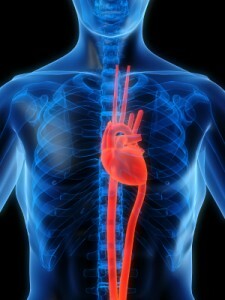 Hypertension and ischemic heart disease worsens with age. Anemia is more common in the elderly. In general, then greater problems arise when a general anesthesia is required, or if the practice is on the second floor. Degenerative arterial diseases can be considered as a universal accompaniment of aging in which is also seen in vessels of oral mucosa which make wounds heal more slowly and less effectively. Lung capacity decreases with age and chronic obstructive airways disease increases in prevalence. Diabetes is more common as age increases. Muscle tone can decrease by as much as 20 to 25% in old age which explains the shorter chewing strokes and prolonged chewing time. There have been several reports of abnormal lower jaw movements consequent to the loss of natural teeth and increasing age. Nutrition is one of the factors under human control that can influence the health of aging as the lack of essential nutrients can cause tissues friability and depress potential for repair. Poverty, impaired mobility, decrease taste acuity and decrease chewing function can result in nutritional deficiencies n the elderly. These can manifest as changes in the oral mucosa. This entry was posted in Oral Care and tagged abrasion, aging, dentures, erosion, hypertension, iron, nutrition, vitamin on February 18, 2012 by oileng.